A year ago today I was saying goodbye to China, off to spend a few months in Cambodia before arriving in Australia to start a new season of life here in my passport country. Sometimes it’s hard to believe it’s been so long! I don’t feel a whole year away. Thinking about it makes me sad; this week I’m feeling the grief of what I left behind. I still feel connected to China. It’s not surprising – China was my life for so long, and a year away doesn’t change that. I miss China – not just people and my life there, but just being there. I still leap at any opportunity to talk about China. Any time I’m asked a question it’s very, very difficult to stop myself from going into a half hour monologue. I’m getting much better at not just bringing it up myself, but when I’m given an opening….! Almost every day I have to stop myself from speaking Mandarin, knowing the person I’m speaking to won’t understand. Sometimes (like on Saturday night) I don’t catch it, and Mandarin flows out of my mouth without me realising. The person I’m addressing stares at me blankly for a few seconds, and I rewind in my head to listen to what I actually said so I can get it right the second time. “Does that happen to you often?” my friend asked. I wanted to say yes, all the time – but usually I catch it before it gets out. The strange thing is I don’t remember this happening to me in China. Maybe it’s just that most foreigners I spent time with knew common Chinese words even if they couldn’t converse – so short comments or the odd Mandarin word thrown into an English sentence wouldn’t be terribly confusing. Still, I’m sure I was better at keeping my languages straight then. I think here there are so few “legitimate” times for me to speak Mandarin that it gets cooped up inside my head and starts to push its way out. Last night after church I went to dinner with a bunch of people, and two of the group were native Mandarin speakers. They were sitting at the other end of the table from me and there was some bilingual fun being shot back and forth. At one point I registered an idle thought in my head about there being “three of us” at the table, with the assumption that I must look different to the non-Chinese speakers. It was a jolt to be reminded that I look like an ordinary anglo Aussie. I feel so different on the inside that it seems it must mark me out somehow but, of course, it doesn’t. I’m not Chinese, could never become Chinese, but China was the backdrop to my twenties, my growth into an adult, and basically all the most significant moments of the last decade of my life. I am very fortunate to have Chinese and Mandarin-speaking friends here with whom I can converse (in person and via text) and also to live near some really good Chinese restaurants. But even when I am speaking Chinese and eating Chinese I’m still not in China, still not in the place and among the people who were my world for so long. Friday night was a rare but wonderful time, hanging out with new friends who are Chinese but have lived here a long time. I can’t even express how wonderful it is that they accept me as my weirdly bi-cultural self – not Chinese, but with a claim to the language and the place which they don’t question. I’m slowly feeling more settled in Australia, but I’m not completely comfortable here. I’ve started to invest in people and groups and that makes me feel more connected. I feel less temporary, less like I’m just biding my time until I can leave again. Still, I often feel like an outsider. There’s a lot I don’t know or don’t have the same emotional connection to. I feel both older and younger than my age – I’ve had so many experiences others haven’t, but I’ve also missed experiences common to most Australians my age. I skipped lots of “rites of passage” – getting a job, owning a car, filing a tax return, renting/buying a place of my own. I still haven’t done these things, and there’s lots of ordinary processes I’m not familiar with. I know there are plenty of Australians who haven’t done all those things, but it adds one more span to the divide between my experiences and others’. I’m getting more bold about asking “stupid questions” to help me understand offhand references I don’t get (although sometimes I just google stuff). There are lots of little things I don’t know – names of people and places and TV shows and events that are just assumed common knowledge. Last week I had to get clarification on a clarificiation, and then clarification on that, before I really understood. It’s like inception for cultural understanding! There was a lovely moment the other day where a friend made a cultural reference in a group setting which totally went over my head and she immediately said “you probably don’t understand that, it would have been when you were away” and proceded to explain it to me – and all without me reacting or asking. I’m going to finish this with things I miss about Beijing, but ALSO things I am loving about Sydney. I find it really important to balance the two – to acknowledge what I’ve lost while appreciating what I’ve gained. Living here IS a gain in many ways, and even on the days I’m homesick for China and feel disconnected from my peers here, I’m still thankful for those things. 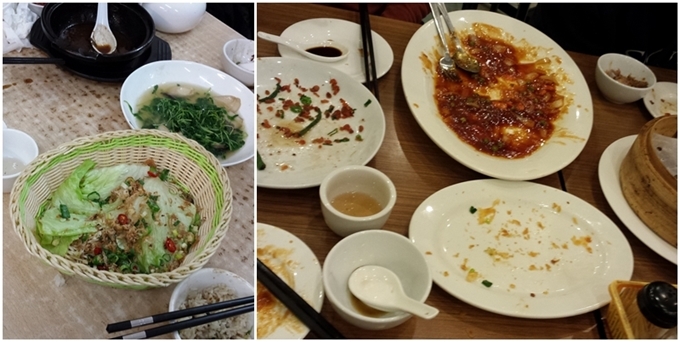 10 things I miss about Beijing…. My youth group: I realise now how much I enjoyed my work! 北京烤鸭 – Beijing roast duck! The weather – it is ALWAYS beautiful here! Even if it’s grey or rainy it’s clean and lovely. I love this. you write so honestly (even as it can be so confusing) about the dualities of re-entry. if nothing else, what a great way for you to experience everything you’ve learned about TCKs! Sadly, you never really can recreate the food.